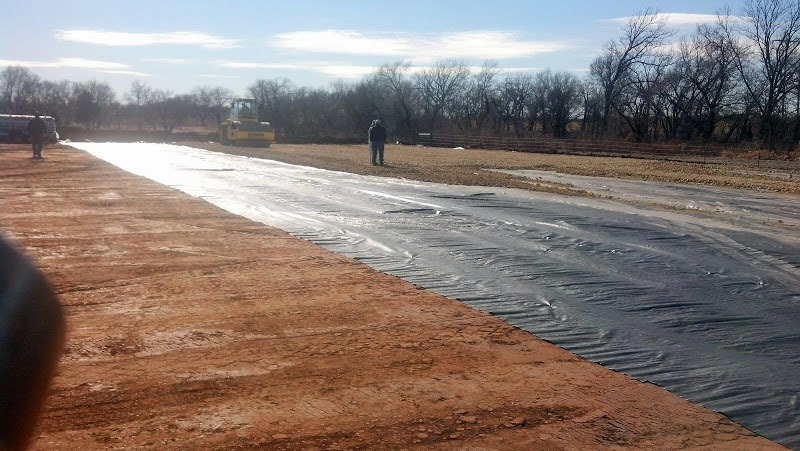 KNC Services, LP offers cost savings geotextile containment liners used in the oil and gas industry. 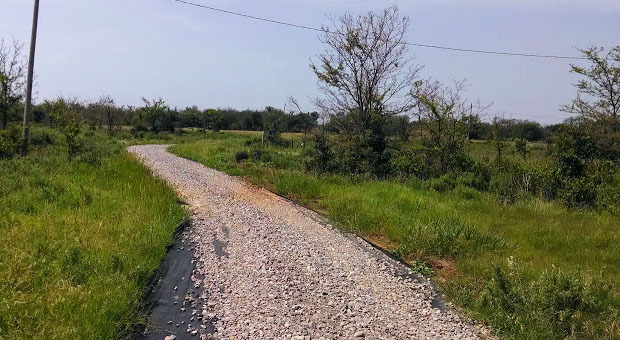 Innovative woven and non-woven polymers create a separation layer between a dirt sub-layer and expensive rock used to build lease roads and well pad locations. 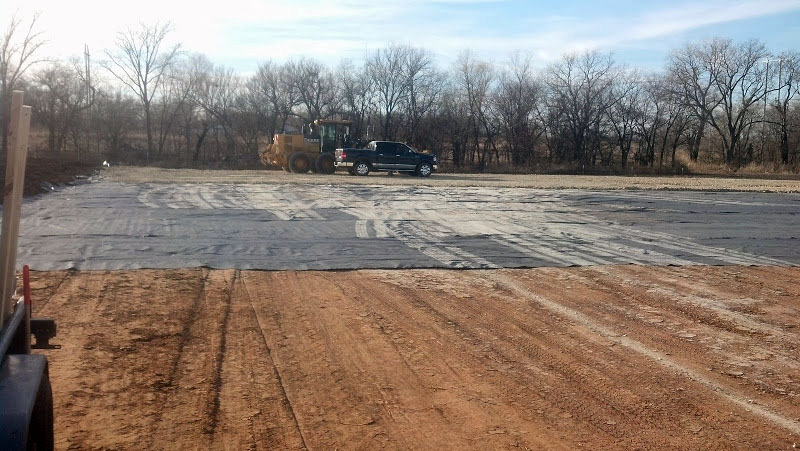 After soil preparations are completed, efficient crews from KNC Services, LP installs a cost effective separation layer as the rock trucks begin to cap the location or road. Initial savings comes from a 50% reduction of base rock. This savings alone often pays for the cost of the liner installed by a KNC Services crew. 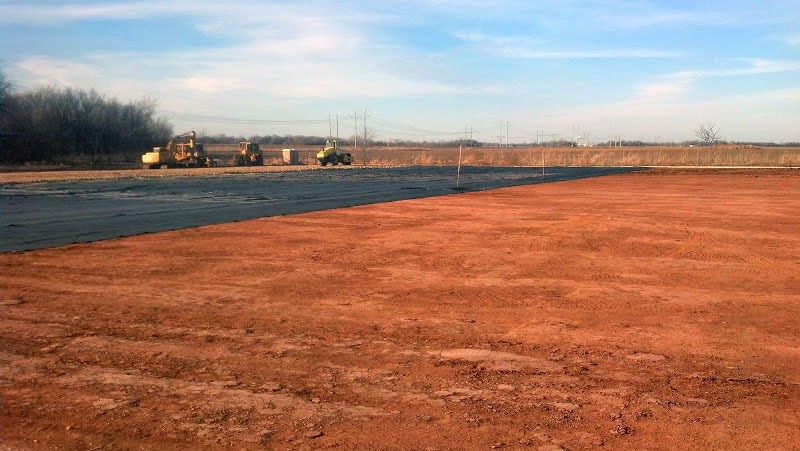 Long term savings are achieved from the lack of rock loss during and after drilling operations as the separation layer allows water to pass through the layers and into the soil without allowing the rock to settle in the soil at the same time. As the old saying goes, 10 lbs of rock with 10 lbs of mud makes 20 lbs of mud! 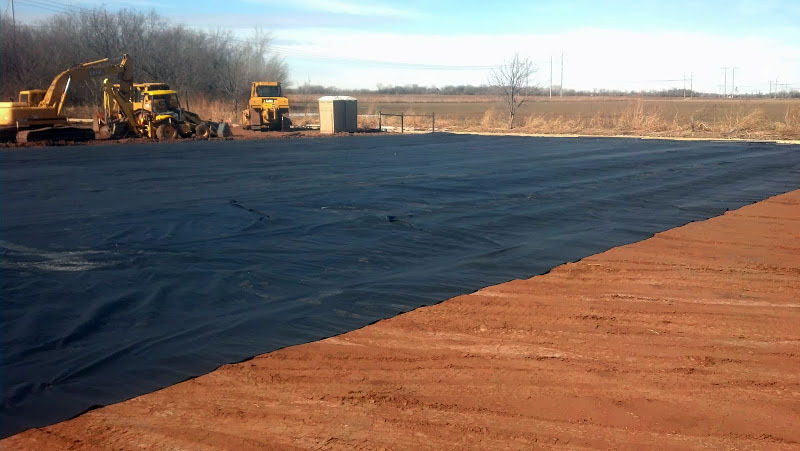 Let KNC Services save your company money with our geotextile containment supplies and services.